When autumn conditions are just perfect in Rocky Mountain National Park, the color during the fall season wont be confined to the aspen trees only. This year, the aspens were golden but the ground cover in Moraine Park turned a bright red. 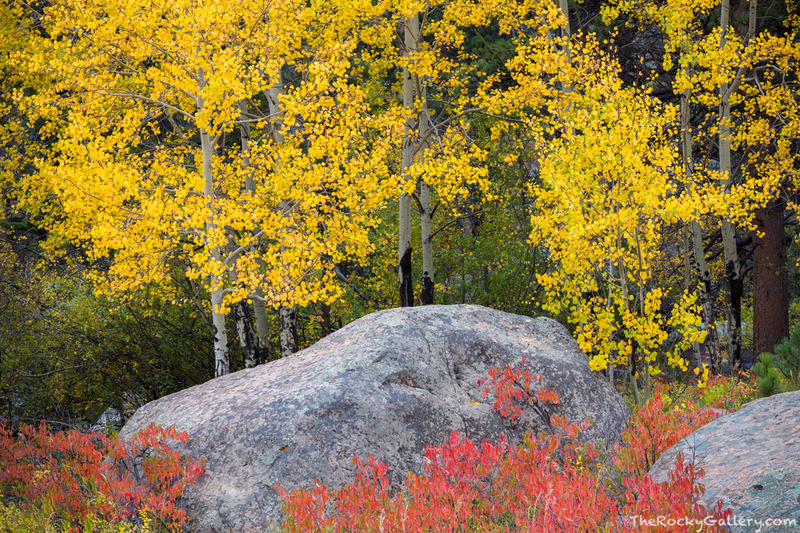 The contrast between the yellow and red colors of fall in RMNP are spectacular to observe if ones timing is perfect. Photo © copyright by Thomas Mangan.